Is there a better alternative to Wondershare Photo Recovery? Is Wondershare Photo Recovery really the best app in System category? Will Wondershare Photo Recovery work good on macOS 10.13.4? Wondershare Photo Recovery is effective Mac photo recovery software for Mac users to recover lost, deleted, formatted and inaccessible photos, videos and music files. It provides complete Mac photo recovery from Mac based hard drives, iPods (except iPod Touch), USB drives, digital cameras and other media storage devices. With easy-to-use interface, users (even a novice user) can recover photos on Mac at great ease just by few mouse clicks. 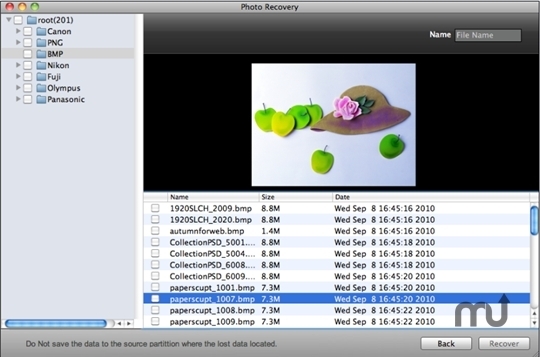 Recover photos both from Mac computers and storage media such as hard drive, iPod, and flash card, while most Mac photo recovery software on current market can only recover photos from media storage.